Created and edit task cards throughout StudioBinder using the Task Sidebar. 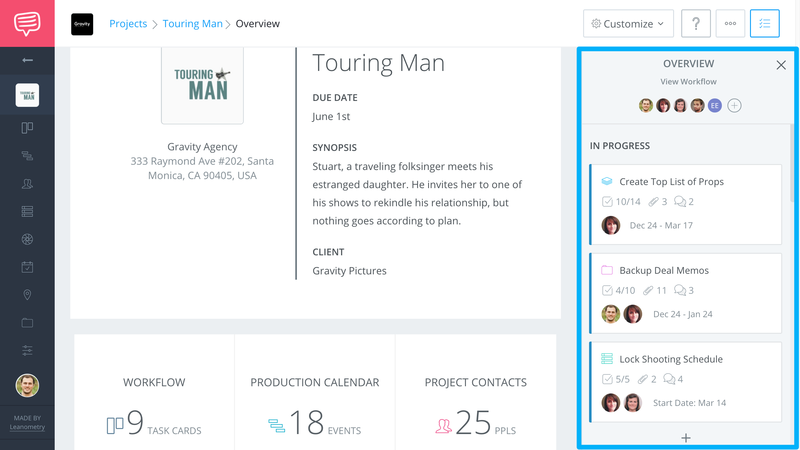 StudioBinder's Workflow feature allows you to create and track Task Cards for your project, but did you know you can use Task Cards on other Task enabled pages? Follow this guide to learn how! 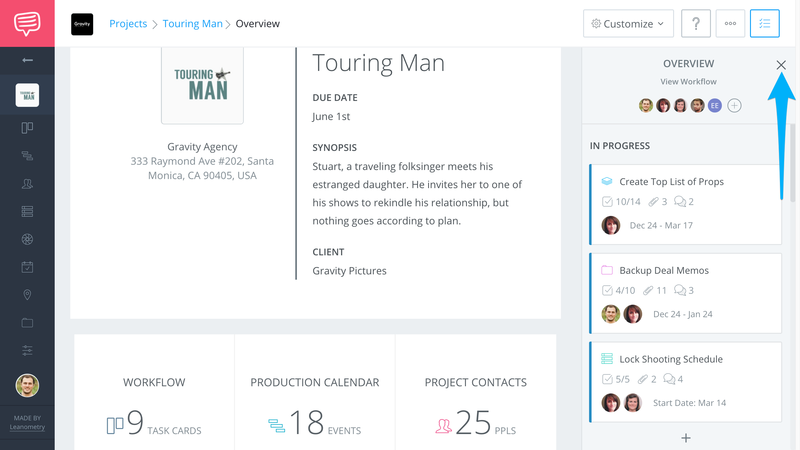 Open the Task Sidebar on a Task enabled page (Project Overview, Contacts, Breakdowns, Shooting Schedule, Shot List & Storyboards, Reports, Locations, Screenplay, Storage, Cast Members, Settings). With the Task Sidebar open, you can view all Task attached to a Feature, which will change depending on the page. When you're done, close the Task Sidebar by clicking the X. How do you filter Task Cards? Currently, you can only filter Calendar Events (vs. 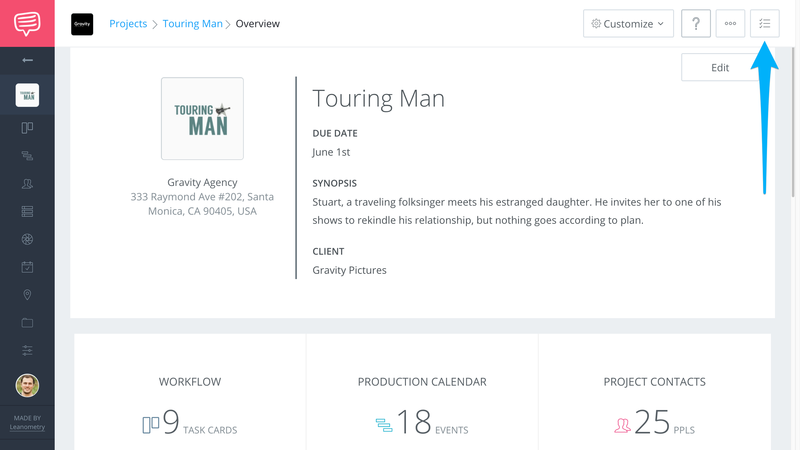 Task Cards on the Workflow page). When your teammate is assigned to a new Task, they will receive an email notification alerting them.